I couldn't have said it better myself. My 16 gauge guns all weigh under 7 pounds. My 1941 Ithaca 37 and 1925 Ithaca sxs are both really close to 6 pounds even. And with #5 copper plated lead, the pheasants don't fly far. 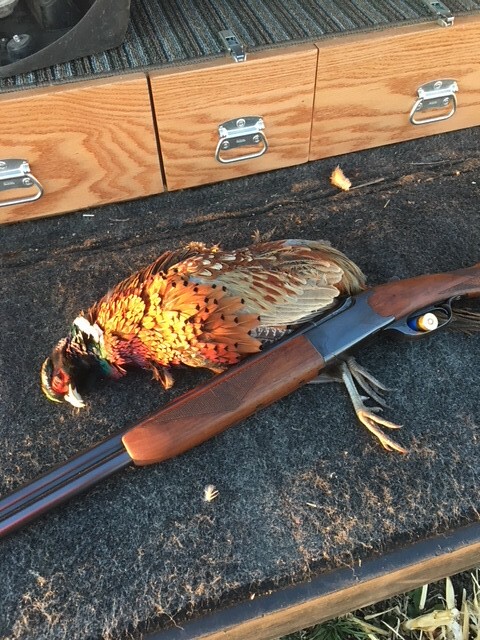 My primary pheasant gun is a 16 ga. Model 90. Not the most refined gun ever, but it feels workmanlike and pleasantly gruff. I appreciate a gun I can carry in rough weather and rough foliage without worrying too much about. Great description of the Model 90. It is a blue collar gun for sure. Oil finish, filed rib, nice bluing. The other thing I love about mine is the double triggers. I wish my Citori had that feature. I was lucky and got this one at a live auction last year for $300 in really nice original shape. I took it to South Dakota. Last edited by ithacafan; 09-11-2018 at 10:44 PM. It really is. I've about quit using everything else since I got a 16 ga Dickinson SxS about 3 years ago. 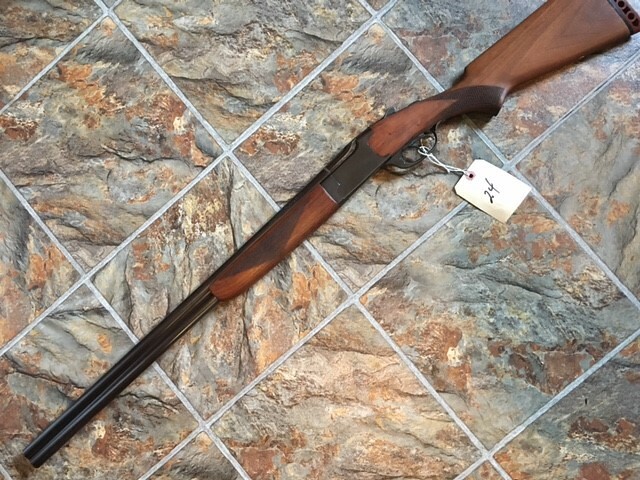 Cheesy has a late 40s M37 and now a sweet SxS made in Suhl Germany in 1919 by Venus Gunworks, Oscar Will. I load for all three, everything from light 7/8 oz and 1 oz low pressure for the German sxS to 1 1/8 oz heavy 5s for pheasants. 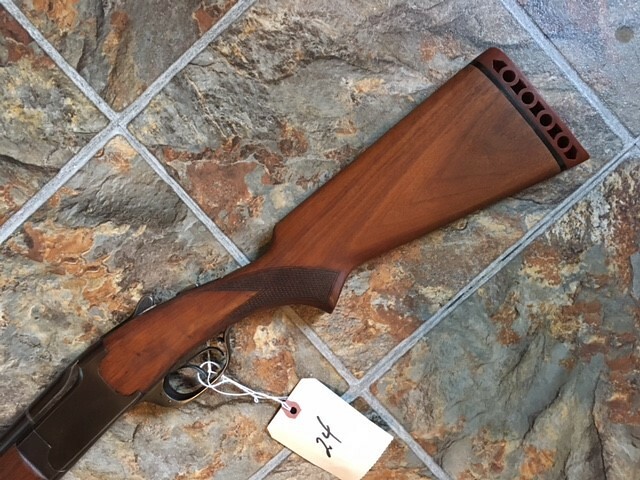 I started out with a 16 ga Mossberg 500 in the mid 60s, but the folks got tired of trying to find loads for it as they became rarer. Went to a 12 or 20 for most of my life. Now I'm finally back to the purple hull. Purple Power! Gotta love those purple hulls. I wish all the manufacturers would make their 16 ga. shells with purple hulls. Shooting any other color in a 16 just doesn't seem right. I picked a '51 Ithaca 37 in 16ga recently. Got sold on the idea from guys in another forum. I'll have to make time to get out with it because the gun is definitely made for the uplands. Nice to see you over here Eric. A few of the guys over on SGW hunt but a lot don't. You need to be over here to get the habitat information. I'm bringing my 37's with me this year (in 16 gauge of course). The Fiocchi #5 copper plated shells (Golden Pheasant) cycle great in the M37 and really hammer the birds. Good luck! Thanks! I’m really torn. I bought a new over under earlier this year in 12ga, and I want to get birds with that but i’ve been a pumpgun guy since forever. Guess I’ll have to get out more to use more guns. I’m a couple hours from the South Dakota border, so I’ll make time to change it up a little.